One-in-nine U.S. children ages 4-17 were diagnosed with attention-deficit hyperactivity disorder in 2011-12, and 6 percent were on medication, officials say. Scientists at the Centers for Disease Control and Prevention found 2 million more U.S. children were diagnosed with ADHD and 1 million more U.S. children were taking medication for it over an eight-year period (2003-04 to 2011-12). Half of children found to have ADHD were diagnosed by age 6, but children with more severe ADHD tend to be diagnosed earlier -- about half of them by the age of 4, the study said. 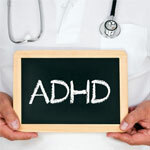 ADHD is one of the most common chronic conditions of childhood, but often persists into adulthood. Children with ADHD may have trouble paying attention and/or controlling impulsive behaviors. Effective treatments for ADHD include medication, mental health treatment, or a combination of the two. When children diagnosed with ADHD receive proper treatment, they have the best chance of thriving at home, doing well at school, and making and keeping friends, the researchers said. States vary widely in terms of the percentage of their child population diagnosed and treated with medication for ADHD. The percentage of children with a history of an ADHD diagnosis ranges from 15 percent in Arkansas and Kentucky to 4 percent in Nevada, the study said. Nearly 1-in-5 U.S. high school boys and 1-in-11 high school girls were reported by their parents as having been diagnosed with ADHD by a healthcare provider.